Another fruit puree perfect for adding to baby cereal or giving to your baby for lunch. This one, like most purees I have made, was very simple to make. I chose to use a lot of mangoes for this one so that I could have plenty extra to freeze. I use fruit on most days to add to my son’s cereal for breakfast so I go through it pretty quickly. Keep in mind I wanted to make a lot so you could cut this down if you wanted to make less. 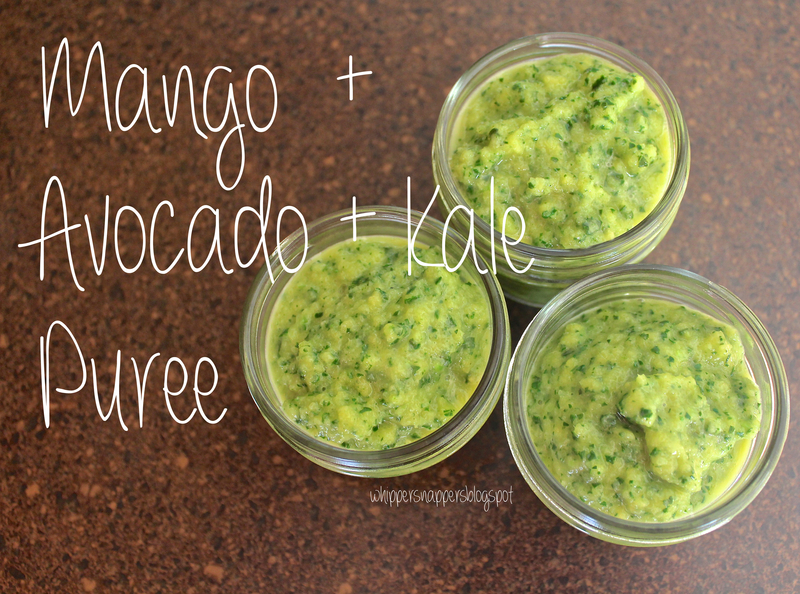 If you wanted to make a single serving I would suggest using half of each fruit and then 1 or 2 kale leaves. The only thing that I cooked for this baby food is the kale leaves. Everything else can simply be cut up and tossed into the blender. Since the fruits are not cooked, I would suggest that this puree not be used for one of baby’s first solids. 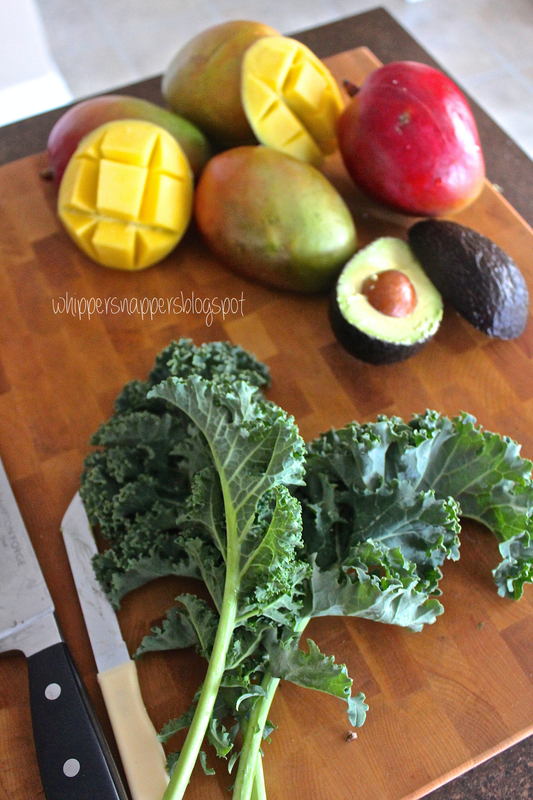 Make sure to rinse the mangoes, avocado and kale leaves. Peel and pit the mangoes, slice into small pieces and put into the blender. Peel and pit the avocado, slice into chunks and put it into the blender. 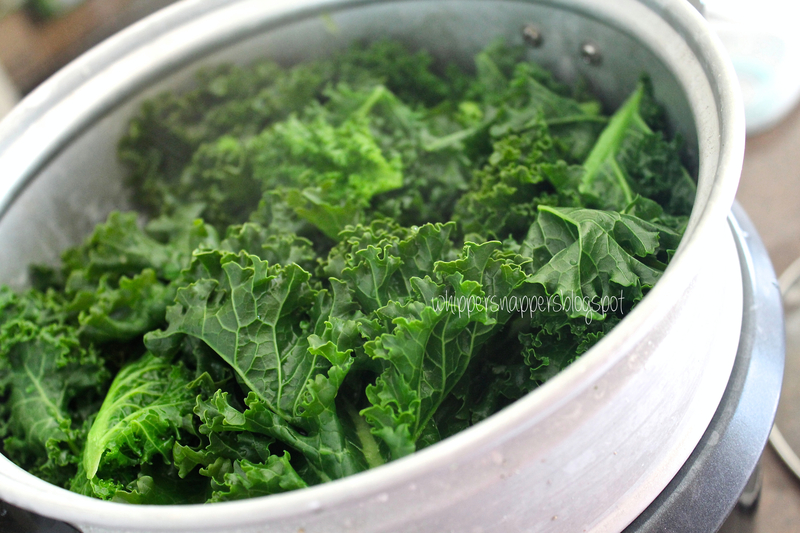 Cut the stems off of the kale leaves and steam the leaves for about 10-15 minutes. Rinse leaves when you are done and let cool for a bit or run cold water over them. Add the kale to the blender and blend well. You won’t need much liquid for this one. Add small amounts of water or breastmilk as needed. This made 8 – 4oz jars and a whole ice cube tray for me. As you can see, this is what I do when I run out of jars while making baby food…improvise by using an ice cube tray! 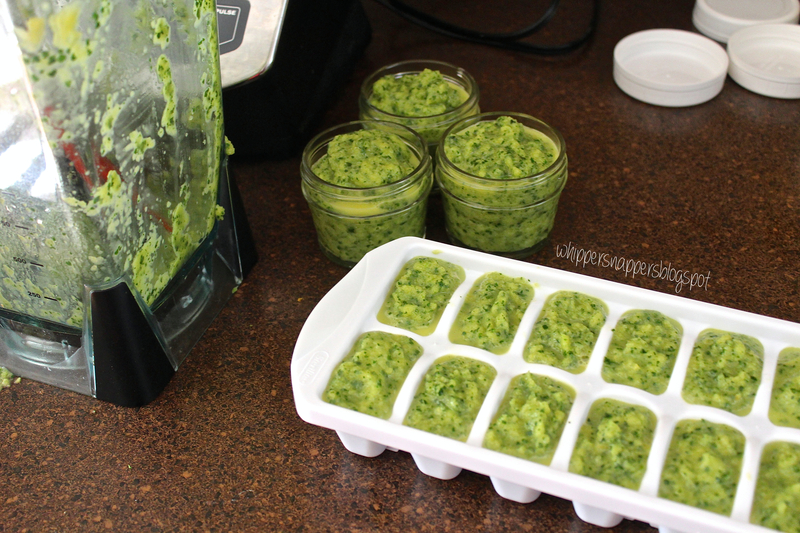 Ice cube trays work great, you could also use them if you don’t have any jars or some other sort of baby food storage. I let the tray freeze and then pop all of the cubes out and put them into a ziplock bag and back into the freezer. This way you can just grab however many cubes you want as you need them. My son loves this one by itself or mixed with cereal!